Hero sold a total 2,44,241 units of the Splendor in February 2019. Honda sold only 2,05,239 units of the Activa range. The gap between the two has been increasing for the past three months. Looks like Hero MotoCorp is properly dominating two-wheeler sales in India yet again. The company sold 2,44,241 units of the Splendor range in the country in February 2019. Such was the Spelndor’s sales supremacy that it trumped Honda’s range of Activa scooters by a whopping 39,000 units! Honda sold 2,05,239 units of the Activa range in the same month. In December 2018, the gap between the Splendor and the Activa was at 4,018 units, with Splendor leading at the front. In January this year, it further widened to 10,607 units. We believe the pricing of both the models is one of the key factors behind Hero’s dominant show. 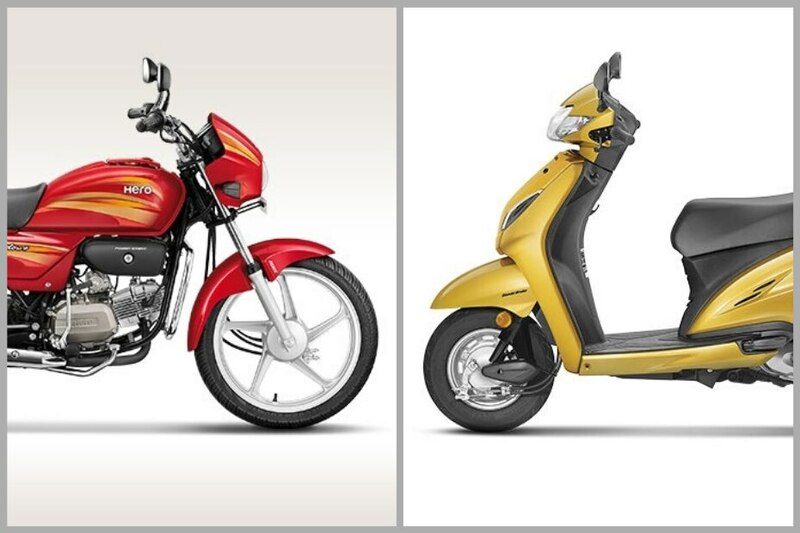 The Hero Splendor is priced from Rs 49,598 (for the base Splendor Pro variant) whereas the Honda Activa 5G will set you back by Rs 54,206 for the base version (both, ex-Delhi). A gap of about Rs 4,600 is quite considerable in such a price-conscious segment. Even the second most popular 110cc scooter, the TVS Jupiter, has been witnessing a steady decline in terms of sales for the last three months, year-on-year. It goes to show that the 110cc scooter is reaching a saturation point, with consumers shifting their attention to bigger 125cc segment. In the last three months, the Suzuki Access 125 has witnessed a double-digit growth year-on-year, which is a surefire indication of how the tide has turned. Hero seems to have a healthy portfolio as far as commuter motorcycles are concerned. The Indian manufacturer is likely to launch the XPulse ADV next month. Meanwhile, Honda seems to be testing the next iteration of the Activa. Read all about it here.